The record failed to impact on the record buying public. Their first album 'This Was ‘came out in the same year and caught some critical acclaim. Blues purist Mick Abrahams left the band to form Blodwyn Pig after some artistic differences with Ian Anderson. Martin Barre eventually replaced Abrahams and Jethro Tull released their next album Stand Up in 1969. It topped the UK album charts. Progressive rock groups rarely issued singles as their demographic was young adults and not young teenagers who traditionally could not afford to buy albums. 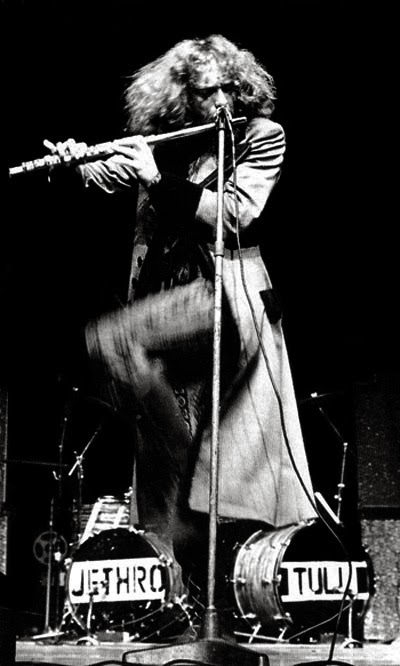 When Jethro Tull released “Living in the Past" as a single it reached number three in the UK charts. They followed up with their other singles, "Sweet Dream" (1969) and "The Witch's Promise" (1970), and a five-track EP, Life Is a Long Song (1971), all of which made the top twenty. By the time the album Benefit was released John Evan (keyboards) had joined the band. In the same year Jeffrey Hammond re-joined the group when bassist Glenn Cornick was asked to leave. The group released their most popular album Aqualung in 1971 which had international success reaching Number 7 in the US album charts. In 1972 the concept album Thick as a brick was released and topped the charts.